Sister Mary Catherine Martin, C.S.J. 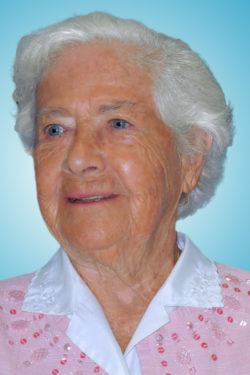 Sister Mary Catherine Martin, C.S.J., a member of the Sisters of St. Joseph, Brentwood, for 79 years, died Oct. 28 at Maria Regina Residence. She entered the congregation in 1940 from St. Michael’s parish, Brooklyn. Her early ministries included service at Our Lady of Victory, Floral Park, L.I., 1941-42; and then Immaculate Conception, Williamsburg, 1942-46; St. Angela Hall Academy, Clinton Hill, 1946-47; St. Anthony of Padua, Greenpoint, 1947-50; and St. Anne, Brentwood, L.I., 1950-51. In 1951, she went to serve in Puerto Rico at the Academia San Jose, San German, 1951-55, and then the Academia San Jorge, Santurce, 1955-57. She then came back to Brooklyn and served at Epiphany, Williamsburg, 1957-58; St. Christopher, Baldwin, L.I., 1958-61; St. Teresa of Avila, S. Ozone Park, 1961-63; St. Joseph H.S., Downtown Brooklyn, 1963-68. She returned to Puerto Rico and taught at the Academia San Jorge, Santurce, 1968-69; Academia San Jose, San German, 1969-71, and the Catholic University of Puerto Rico, Ponce, 1976-95, where she was dean of English and foreign languages. She ministered in Brentwood at Maria Regina Convent, 1995 and St. Joseph Convent, 1995-2003, before spending her final years at Sacred Heart Convent, Hempstead, 2003-18. She studied journalism at New York University; French at St. Francis College, Brooklyn Heights; and literature at St. Joseph College. She received certification in Spanish from the Catholic University of Puerto Rico. Her workbooks, titled “You Can Write,” were used by elementary school teachers in Puerto Rico and the U.S. She was also president of the international organization T.E.S.O.L. of the southern region in Puerto Rico. A Mass of Christian Burial was celebrated in Maria Regina Chapel, Brentwood. Burial was in Calvary Cemetery.